New dream waterfront mansion offering serene views of the bay & the indian creek golf course! 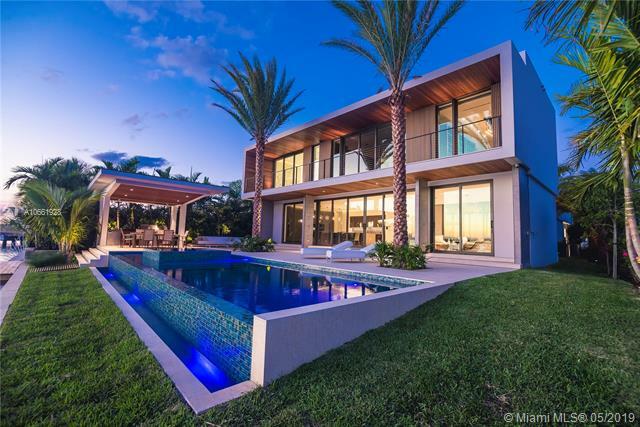 inside, dramatic contemporary design featuring expansive & open living areas enclosed by oversized glass walls, interior garden, formal dining, chef ¬ø� ¬ø�� ¬ø��s kitchen + full 2nd kitchen, large upper living area, sauna, & high-end finishes. 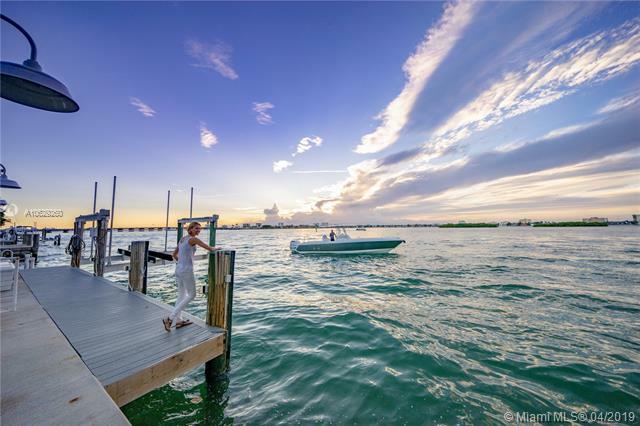 Exceptional outdoors with an infinity pool, spa, & summer kitchen ¬ø� ¬ø�� ¬ø�� ideal for entertaining & dolphin sighting. Deluxe master offers ultra-lux marble bath, terrace, walk-in closet, & endless sunsets! equipped with lutron lighting & auto shades, 2-car garage with lift, lush landscape. 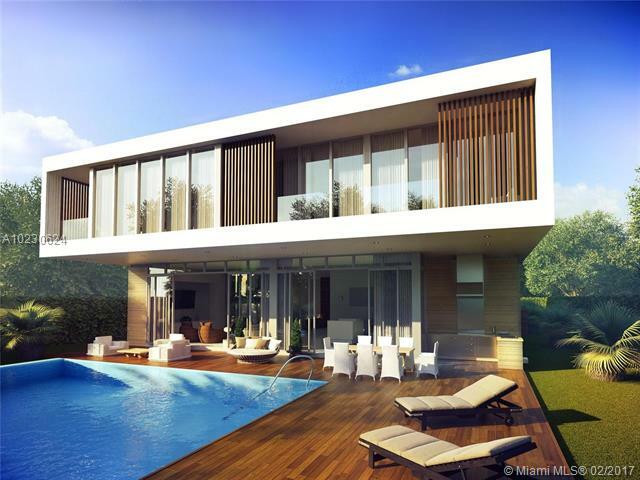 Live in exclusive bay harbor islands, minutes to world-famous bal harbour! created by the vision & dedication to perfection of gamma construction & caterina badiello design team. 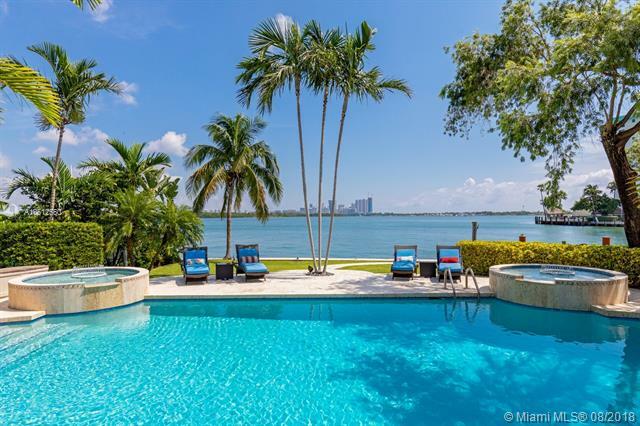 Bay harbor islands, waterfront, 7 bedrooms, 6 full baths and 2 magnificent powder rooms. 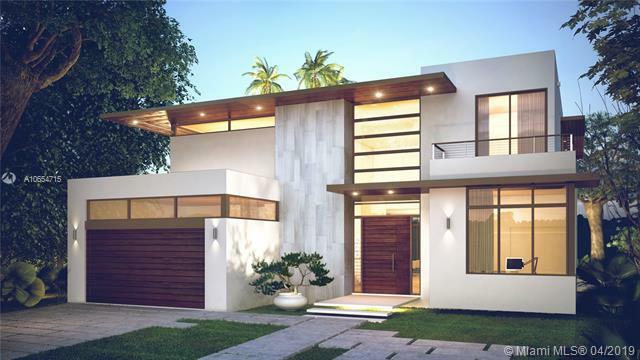 Smart turnkey contemporary residence, remodeled by renowned architecture firm choeff, levy, fischman in 2017 w/unobstructed views of wide bay & indian creek golf course. Fully furnished. Designed by roberto migotto, including some superb italian furniture like minotti, b&b, maxalto, holy hunt, henge. Paola lenti etc (check attached). Ornare tailor-made closets & kitchen equipped w/ subzero. Miele & wolf appliances. Fully equipped outdoor kitchen. Designer lighting lutron control system. Master suite, w/ marble bath & free standing tub, his & hers water closet, baccarat torches & built-in his & hers closets & private terrace. 500+ bottle automated temperature-controlled wine cellar. 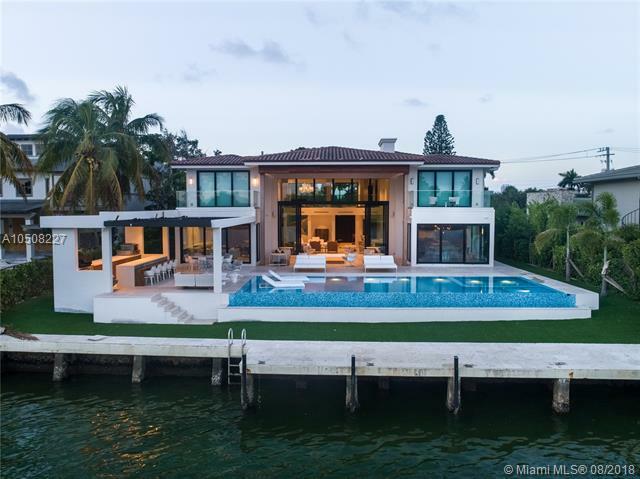 This extraordinary waterfront home radiates style & elegance with unobstructed west facing sunset views. 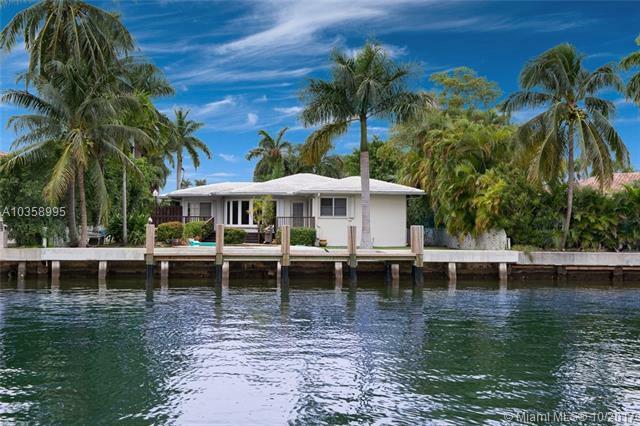 Set amid a 14,000sf lot, this smartly renovated residence offers 80ft of wide water frontage w/ no fixed bridges, 50ft boat dock / lift, summer kitchen, covered patio, & pristine pool. 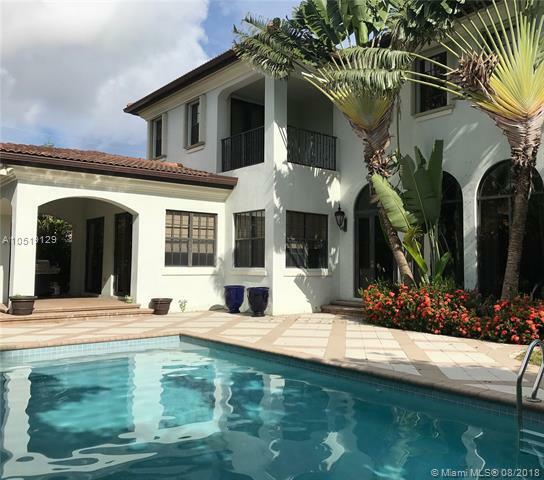 The impressive 5,334sf of interior space features a soaring 20 ¬ø� ¬ø�� ¬ø�� ceiling w/ skylights in the great room, a gourmet eat-in gas kitchen, formal dining room with custom built-ins, bayfront family media room, separate office, & 3 bedrooms downstairs. The 2nd story is dedicated to the impressive master retreat offering walk-in closets, spa-like bath w/ double sinks, & fabulous water views from the expansive balcony. 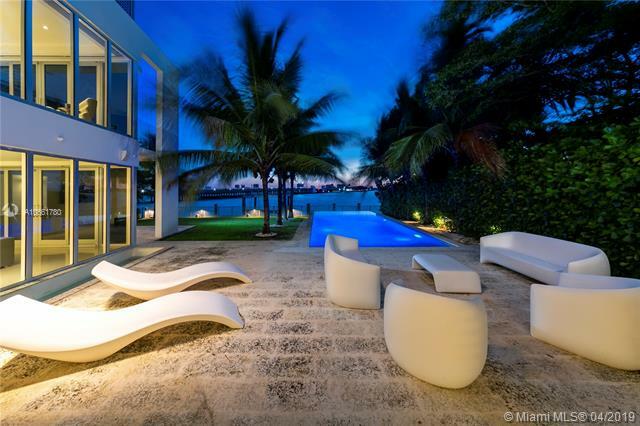 Sit back, enjoy the sunsets, & watch the dolphins swim by in this tranquil residence on the bay. Great empty lot in bay harbor with approved plans to build a dream resort home! approved plans are for a 6 bedroom 7. 5 baths home, approved and ready to start tomorrow. 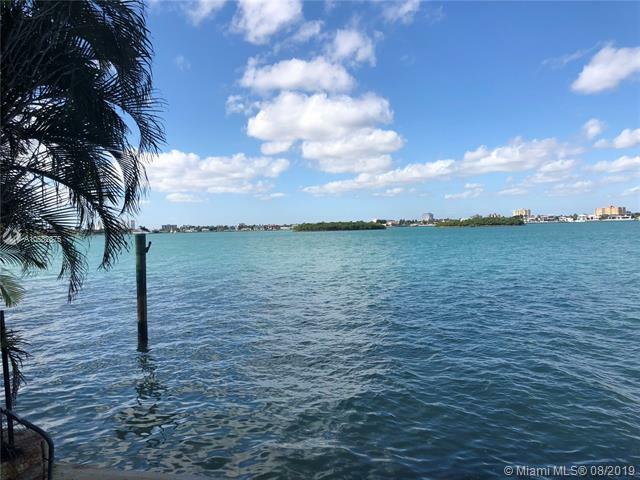 Best single family deal in bay harbor! gorgeous two- level home , recent construction ( 2009) totaling 5,400 sq ft and 6 bd/6. 5 ba light , bright & meticulously maintained. Features marble floor, high ceilings, hurricane proof windows. State of the art kitchen w/ top appliances , wooden cabinets & vast family room overlooking the pool. Impeccable 2nd floor master suite w/ large walking closets and private balcony. The perfect family home w/ beautiful pool area, two-car garage, laundry room and more. Located in prestigious bay harbor, close to shops, beaches & houses of worship. A+ rated schools. 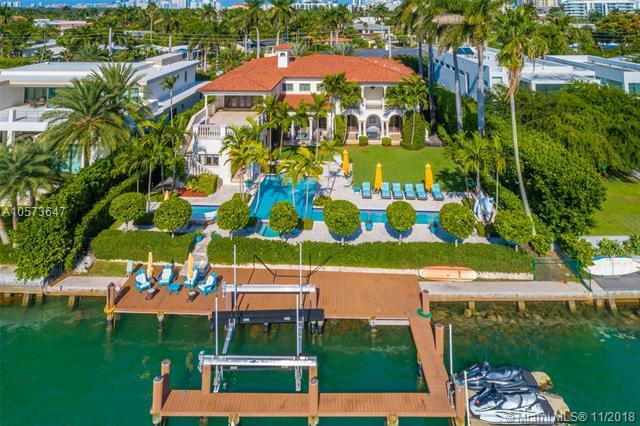 Beautiful bay harbor islands home just two blocks from the beach! large floor plan with double high ceiling. Recently renovated kitchen and downstairs bathrooms. Upstairs has been renovated with new floors and ac. Custom walk -in wine cellar. Two car garage with brick driveway. Pool area for entertaining and bbq. Landscaped gardens. Great neighborhood for families.. Bal harbor shops , publix , "a" rated school , and community centers are all within walking distance. Call now for an appointment. 24 hour notice is encouraged.